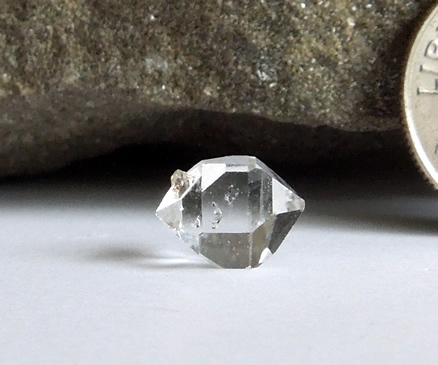 This quality Herkimer Diamond specimen holds a bridge crystal. 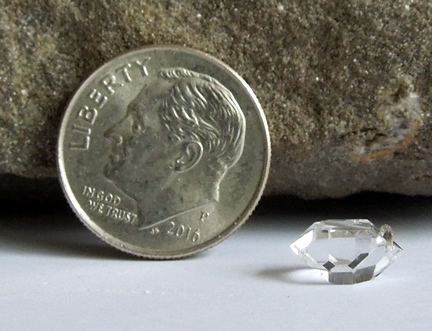 A bridge crystal is recognized as a smaller crystal which is part in and part out of a larger crystal. 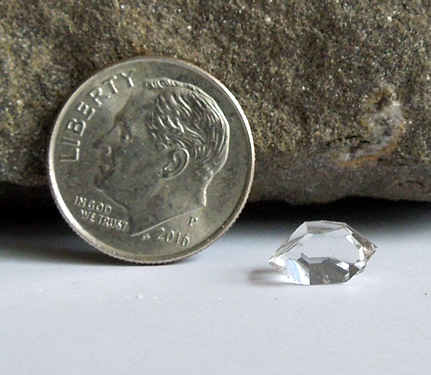 The larger crystal formed, or "flowed" around the smaller crystal which was already completely formed. They are a bit rare and a nice addition to any crystal collection. With this specimen, the bridge is sharp and tiny. 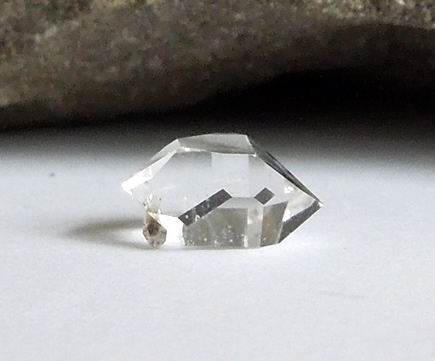 Encased in it are tiny anthraxolite inclusions. 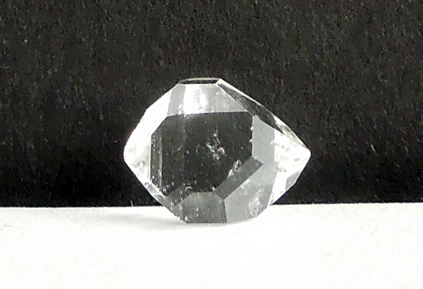 The large crystal has a touch of bubble-like inclusions when viewed with a loupe, proving authenticity and adding interest. 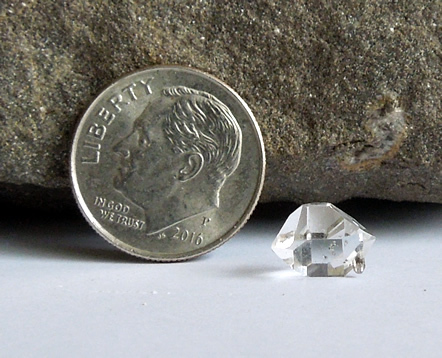 Externally, facets and double points are clean. Two window facets are found on one side and were captured in the photographs. 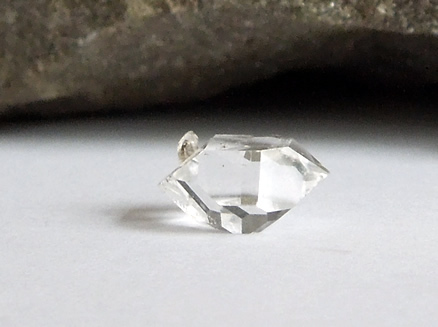 A quality Herkimer Diamond specimen with bridge crystal.